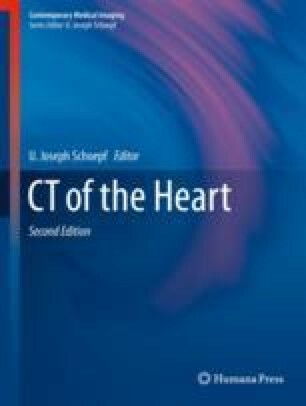 In spite of the advances in scanner technology in coronary CT angiography (CCTA), image quality is still influenced by heart rate (HR) and the consistency of the cardiac cycle. Additionally, HR is related to the diagnostic value and level of radiation exposure of CCTA (Stolzmann et al., AJR Am J Roentgenol 197:851e858, 2011; Matt et al., AJR Am J Roentgenol 189:567e573, 2007; Dewey et al., Circulation 120:867e875, 2009). The reason for pharmaceutical intervention in patients’ CCTA examinations for the assessment of coronary disease (CAD) and myocardial perfusion is the reduction of HR and the instigation of coronary vasodilatation in order to achieve maximal coronary flow. The current guidelines propose a HR of <65 bpm before imaging (Abbara et al., J Cardiovasc Comput Tomogr 3:190–204, 2009).